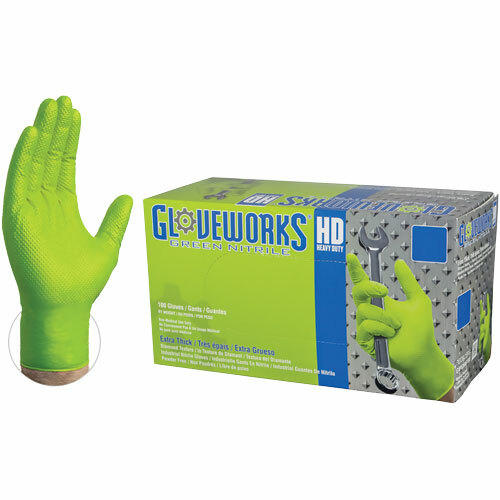 Ammex Gloveworks HD Green Nitrile Powder Free Industrial Gloves. The raised diamond texture provides an unbeatable grip. 8- to 9-mil thickness means excellent chemical resistance for extended-duration use. Latex-free. 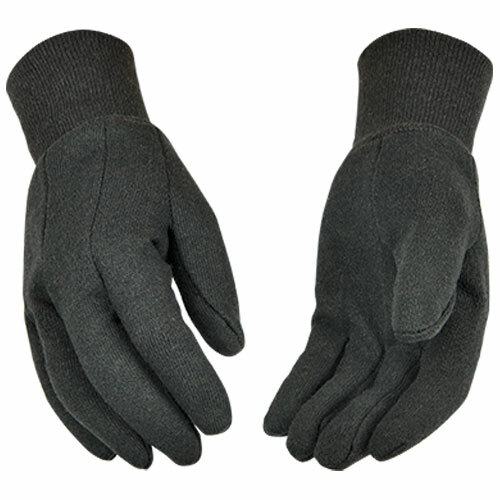 M-XXL, 100 gloves per box. 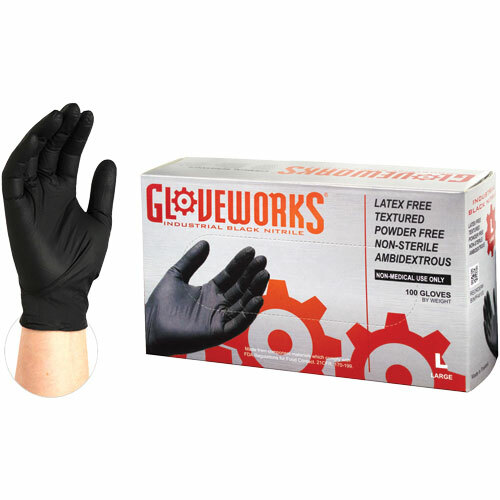 Reach for AMMEX Gloveworks Black Nitrile Powder Free Industrial Gloves to take on the toughest jobs. More than 50 percent thicker than standard nitrile. 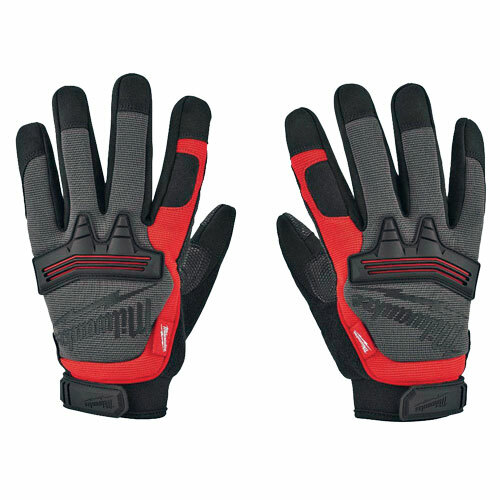 Excellent barrier protection and gripping power. Professional black look. Latex-free. 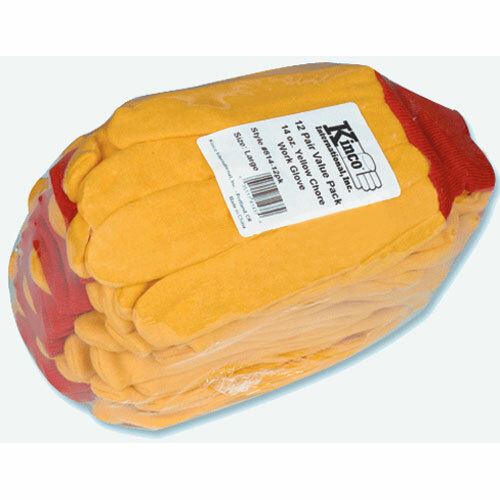 Sold 100 gloves per box. 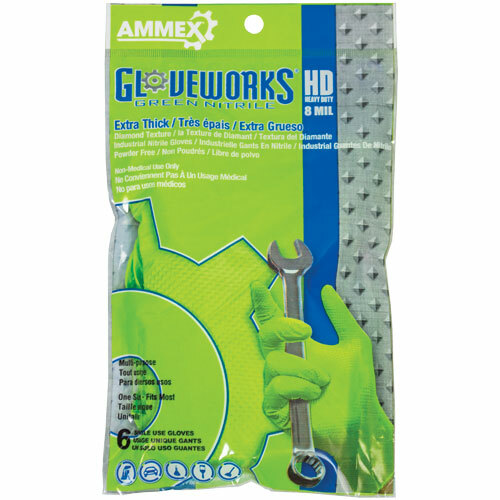 Ammex Gloveworks HD nitrile disposable gloves, now in peggable 6-packs, are the Perfect Project Pack for retail sales! 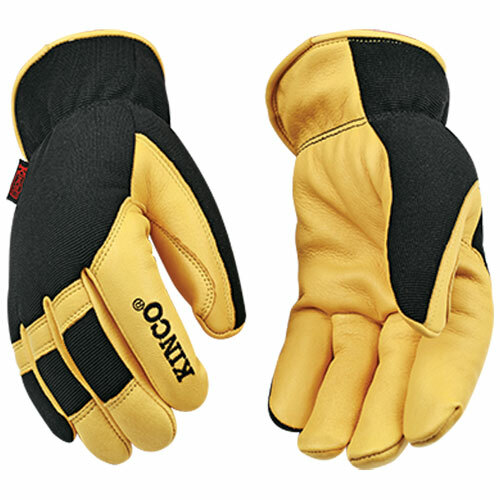 Their raised diamond texture provides 60% more surface area for an unbeatable grip. Strong and durable. High-visibility green really stands out. One size fits most. 6 pk. 9 oz. brown jersey. PVC dots on palm and index finger. Knit wrist. 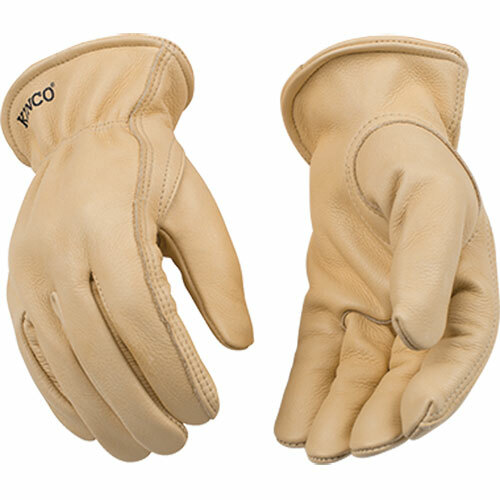 Soft and durable ultra suede palm material. Warm fleecy lining. Snug knit wrist. Trademark material back. 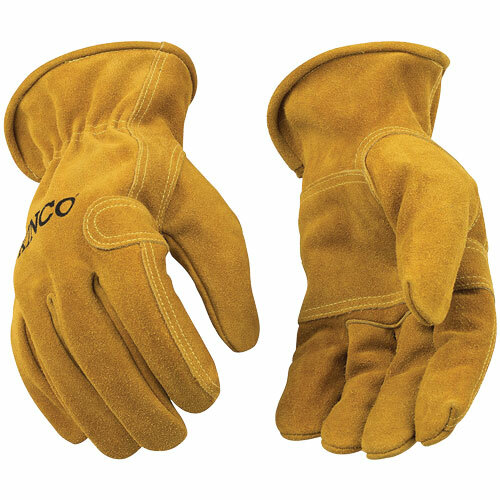 Cowhide gloves for tough jobs. 9 oz. brown jersey. Knit wrist. Clute cut. 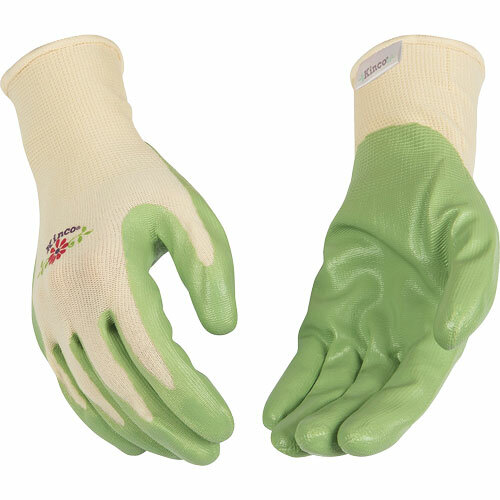 Easy-On™ cuff with shirred elastic wrist facilitates quick on & off use, while tightening the shell material to the hand for a secure fit & providing an additional preventative measure to block debris from further entering the glove. 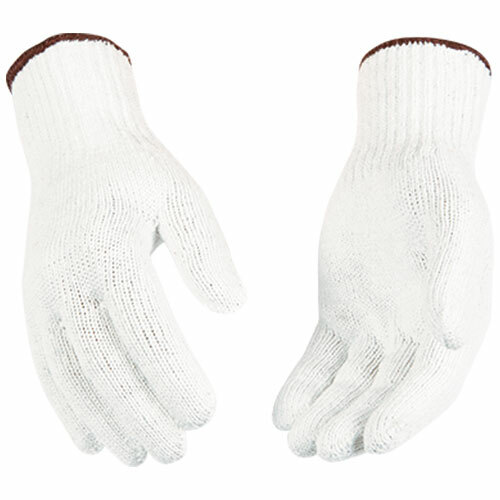 White heavyweight polyester-cotton blend knit shell is form-fitting & provides breathability. 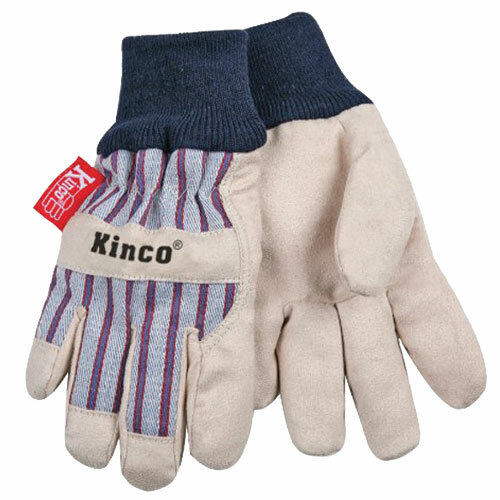 Leather gloves with gray cowhide leather palm, rubberized safety cuff and wing thumb. 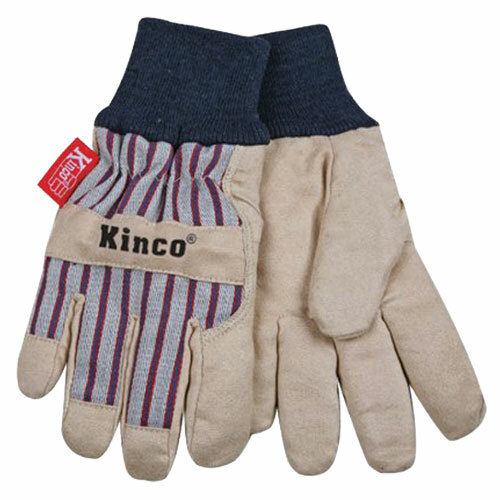 Great for farm and ranch, construction, and carpentry. 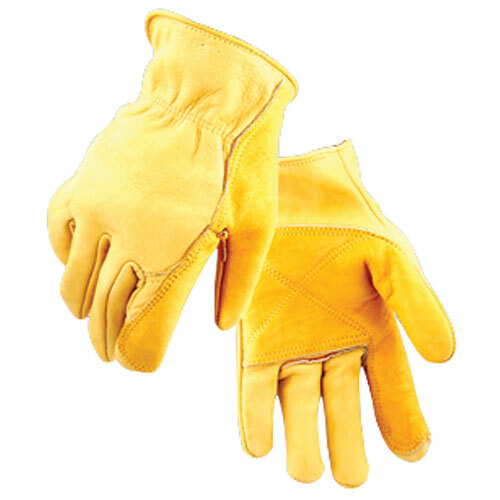 Nitrile coated palm and fingers. Tan color knit shell. Machine washable. 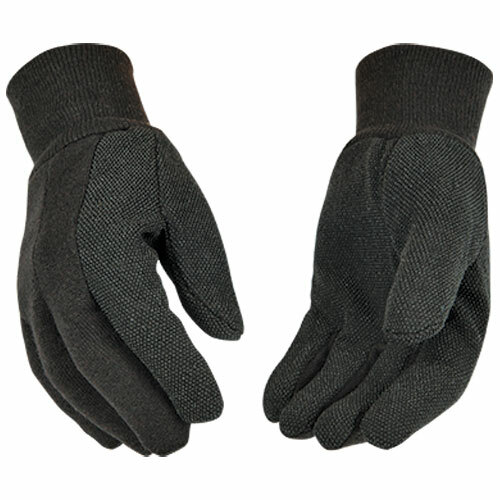 Breathable knitted nylon shell. 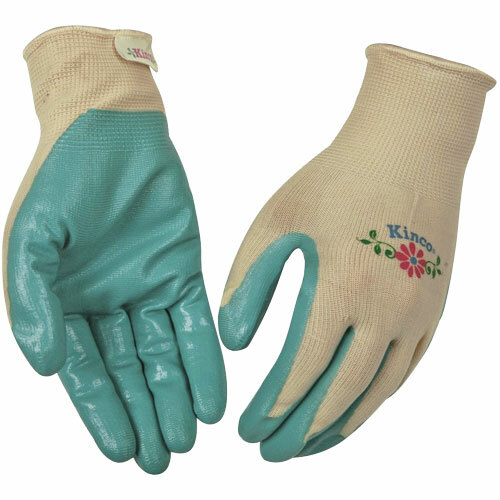 Strong Cowhide Fencing Glove. 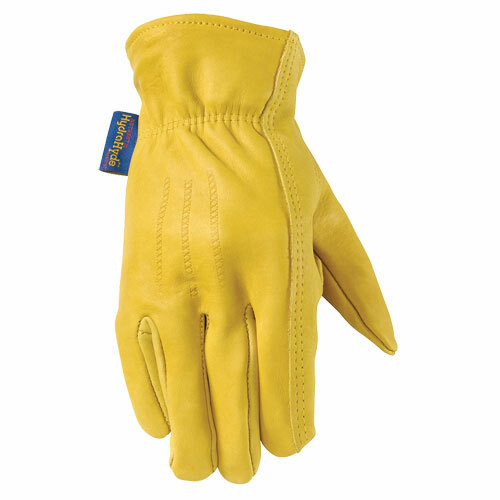 Durable and Pliable Suede Cowhide. Reinforced Palm. Keystone Thumb. Grain cowhide. Keystone thumb. Shirred elastic back. 14 oz. yellow chore. Knit wrist. Straight thumb. Clute cut. 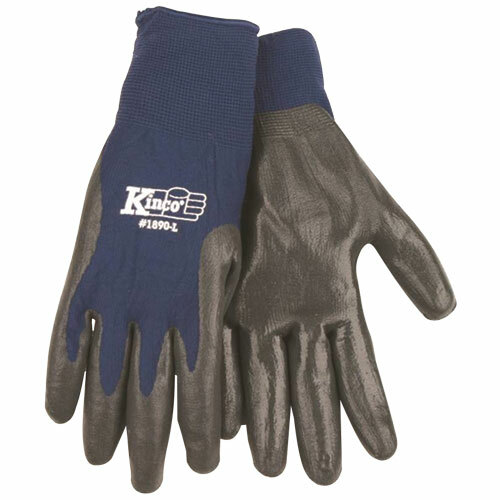 Keystone thumb for better fit and feel. Elasticized wrist on back. 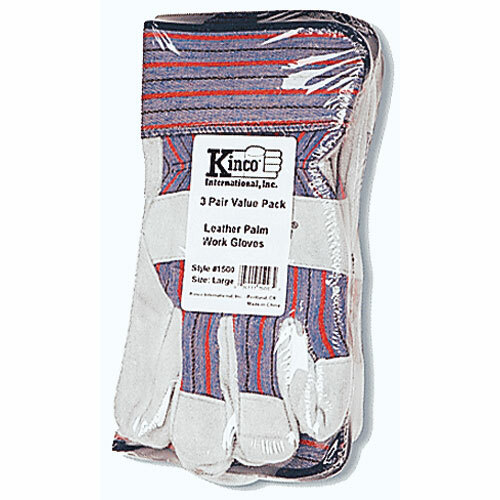 Oversize extra wear palm patch.